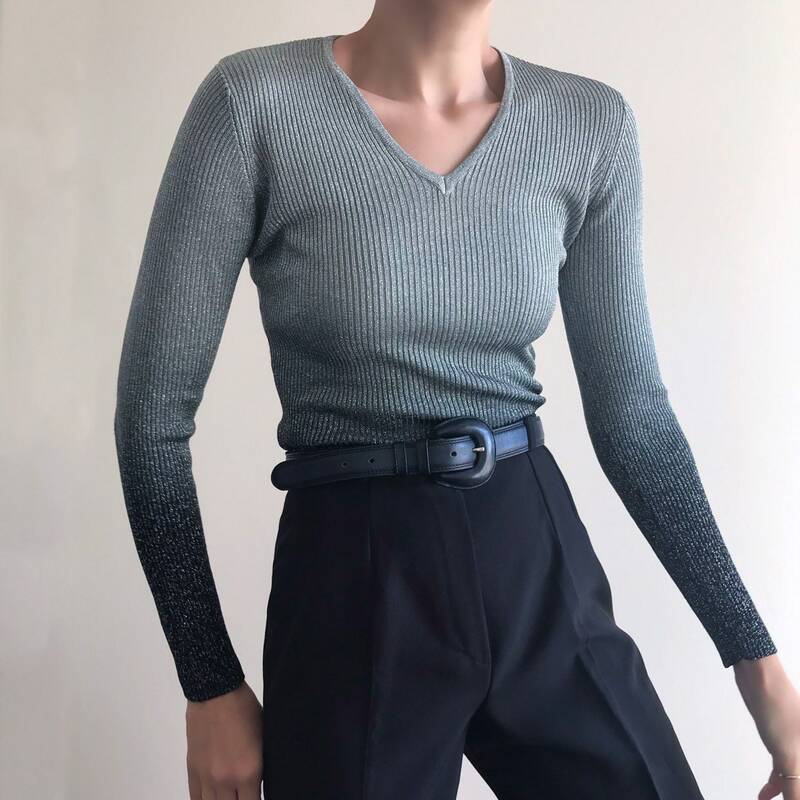 ‘90s vintage ombre metallic ribbed knit with v-neckline and long sleeves. Size on label S. Will fit XS/S. 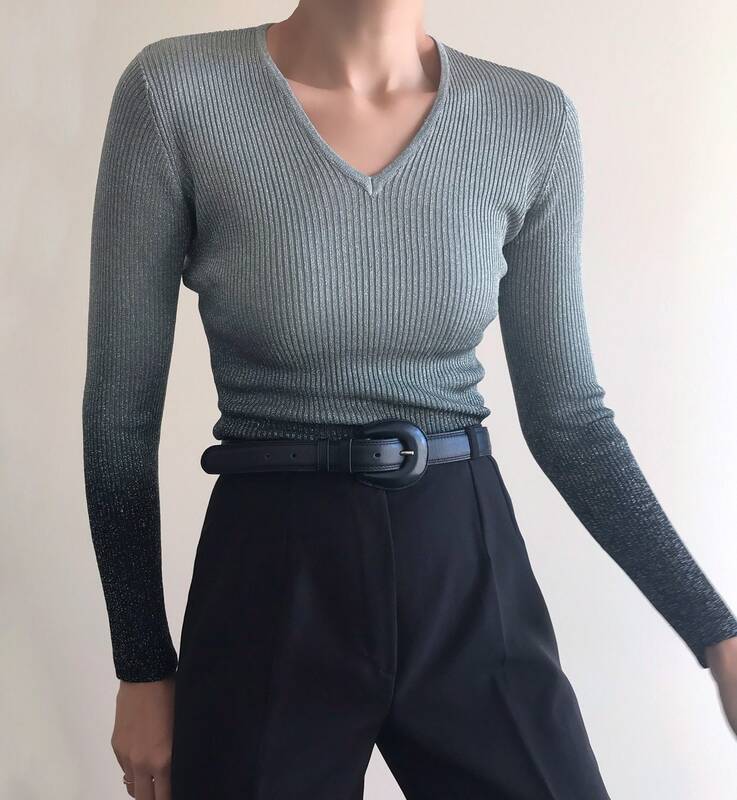 Shown on a size S model on pictures. Fabric mix is %84rayon %11nylon %5metallic. Amazing fabric flow & softness.